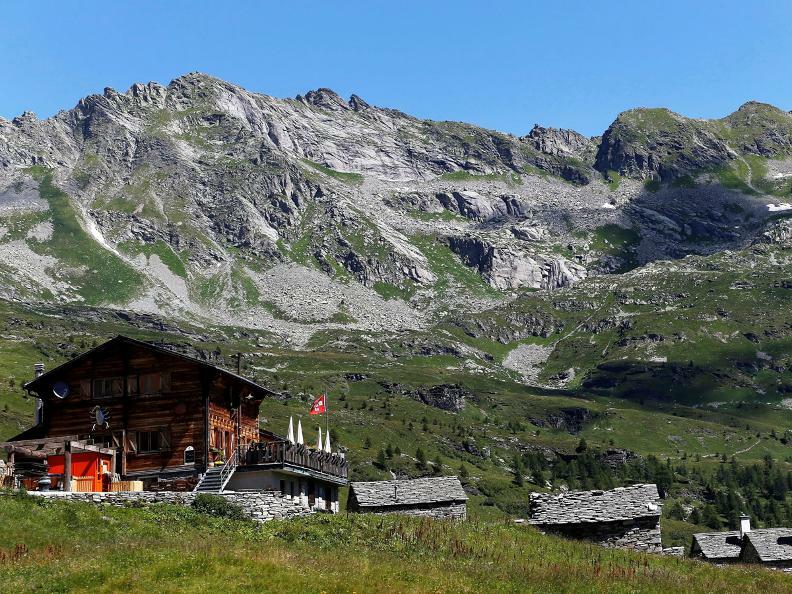 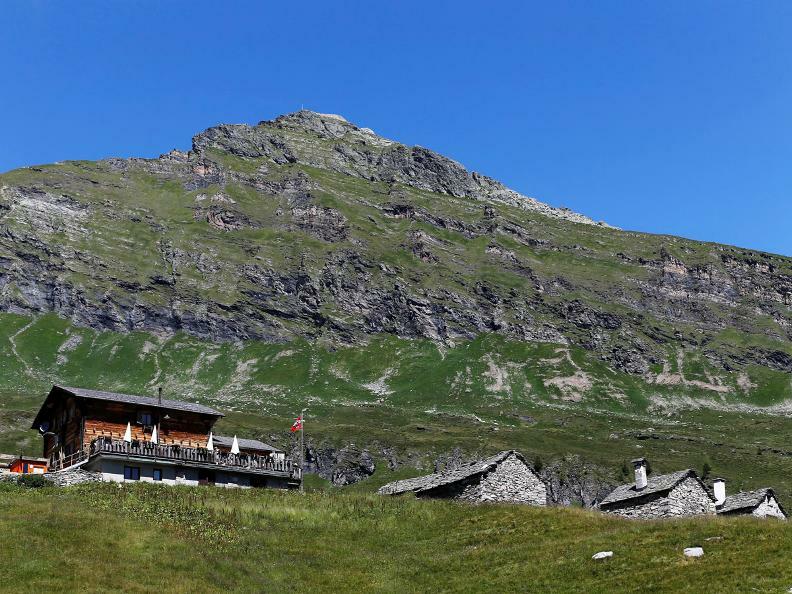 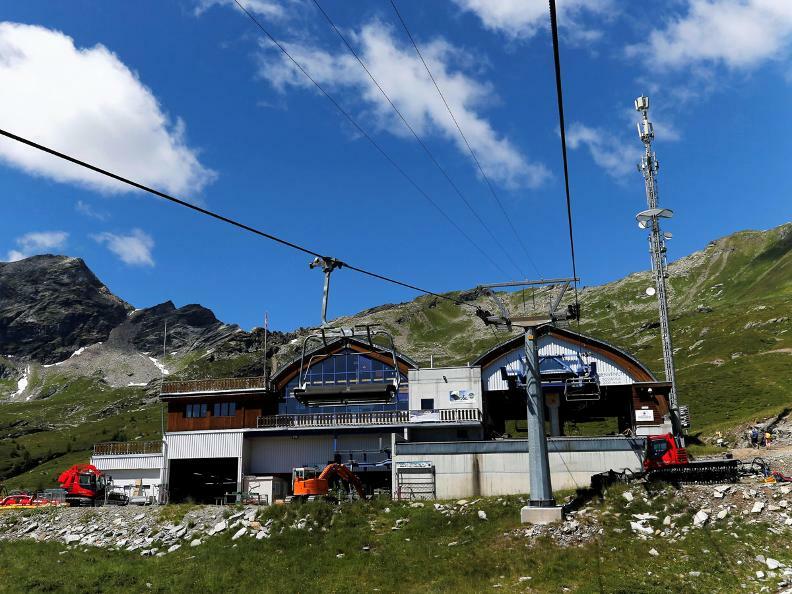 From Rossboda, descending to the alpine hut Grossalp, continue west, following a path surrounded, in Spring and beginning of Summer, by bushes of scarlet alpine roses. 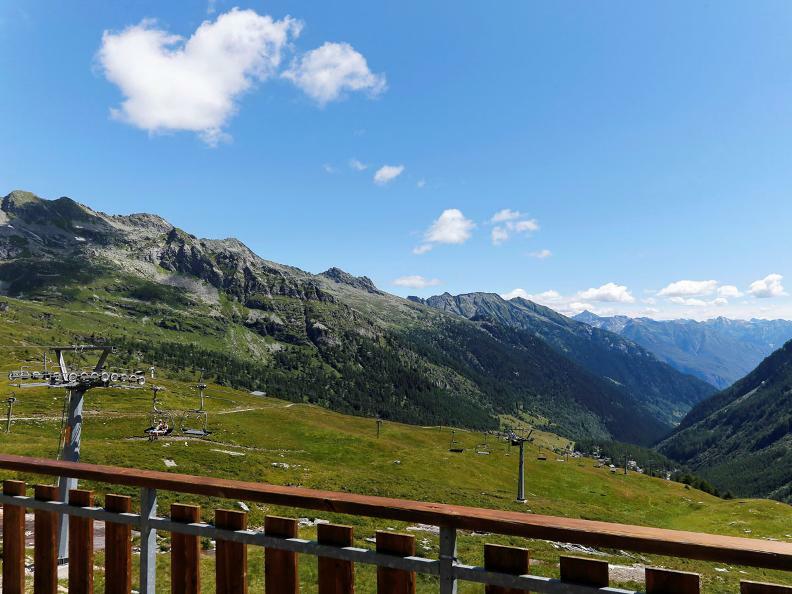 The path follows evenly until reaching the «Corte di Chumma» at 1855 m. above sea level. 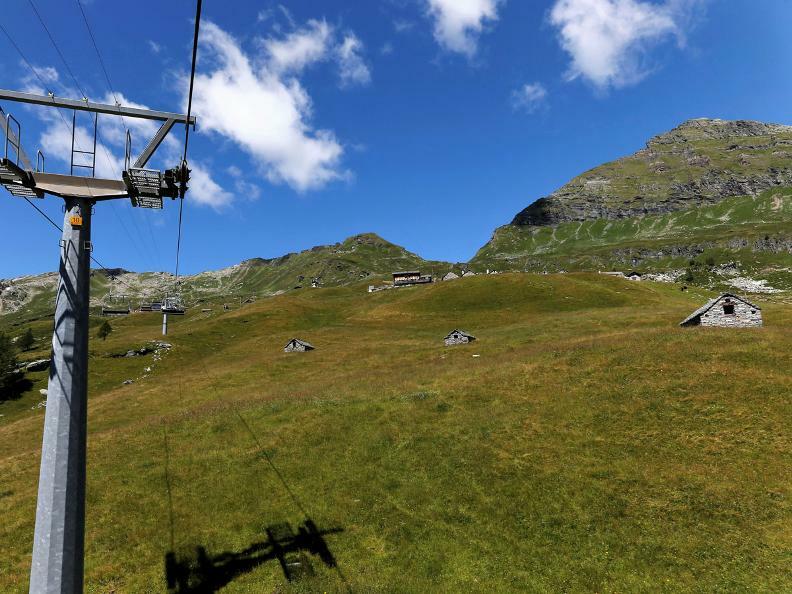 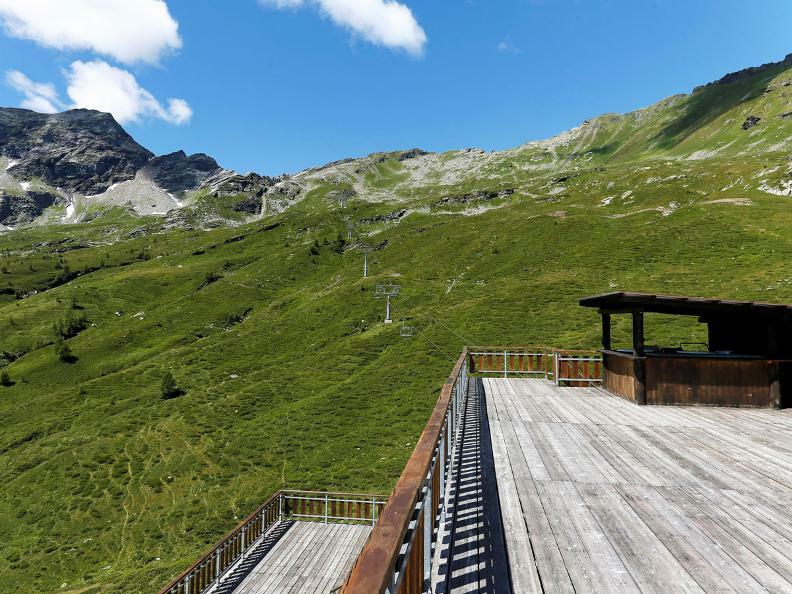 Here it is possible to continue until the «Passo Quadrella» or, descend towards Bosco Gurin. 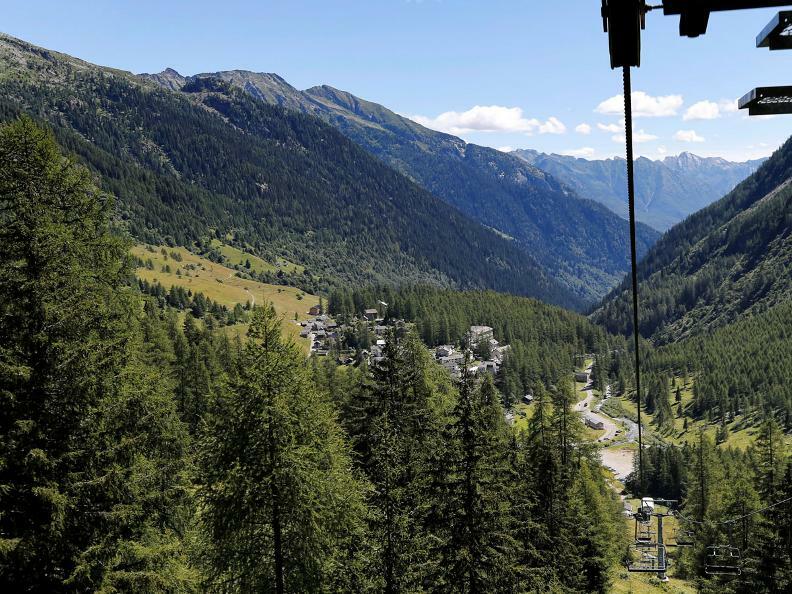 On the descent to Bosco Gurin, the initial part of the path is quite steep and requires caution until reaching the woods. 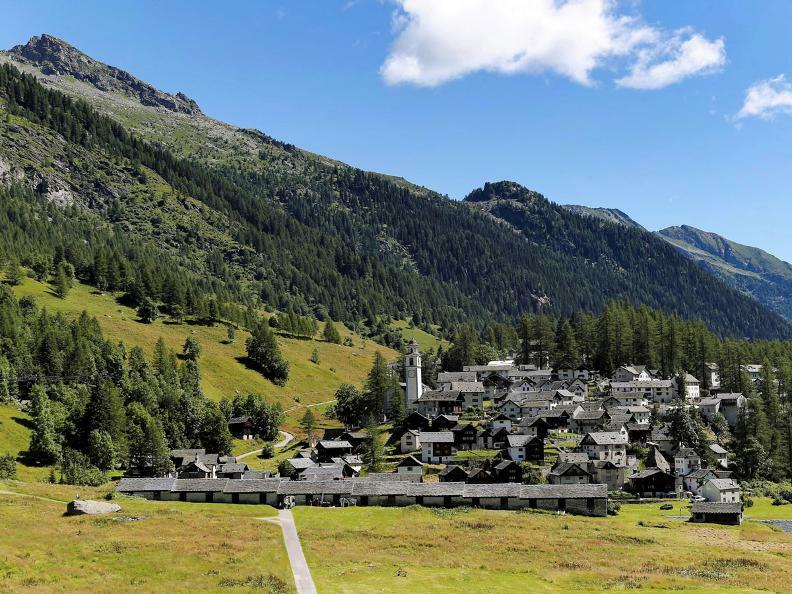 From there it continues easy until the village.